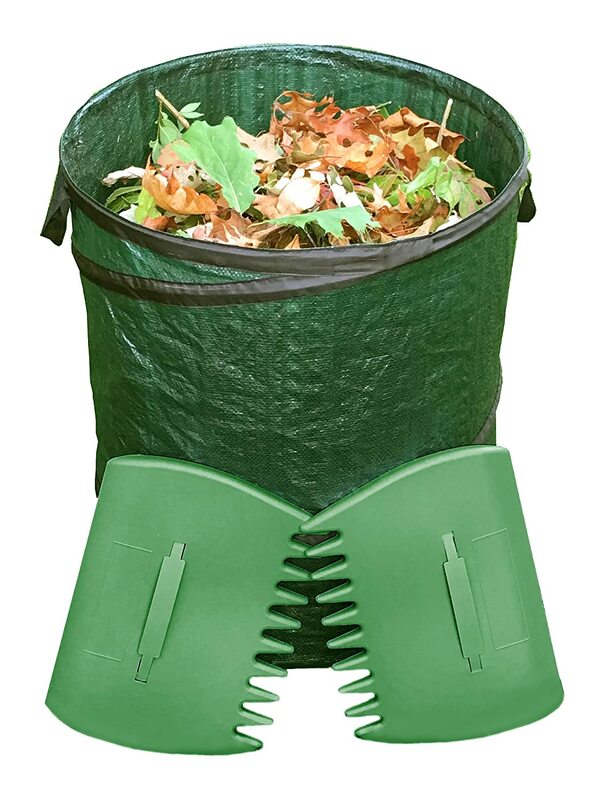 We find that reusable garden waste bags are a lot more economic than using the disposable kind. You avoid the risk of spillages when bags tear, which often happens with the throwaway types, and you don’t need to stock up on replacements. When you have part filled bags and intend to add to the contents later, you know that they’ll store well. ​They won’t tear and spill, and leave you with more mess to clear up. ​Gardening can be messy enough at times, without creating extra work for yourself. There’ll be plenty of gardening material that needs to be disposed of whenever you makeover your backyard. 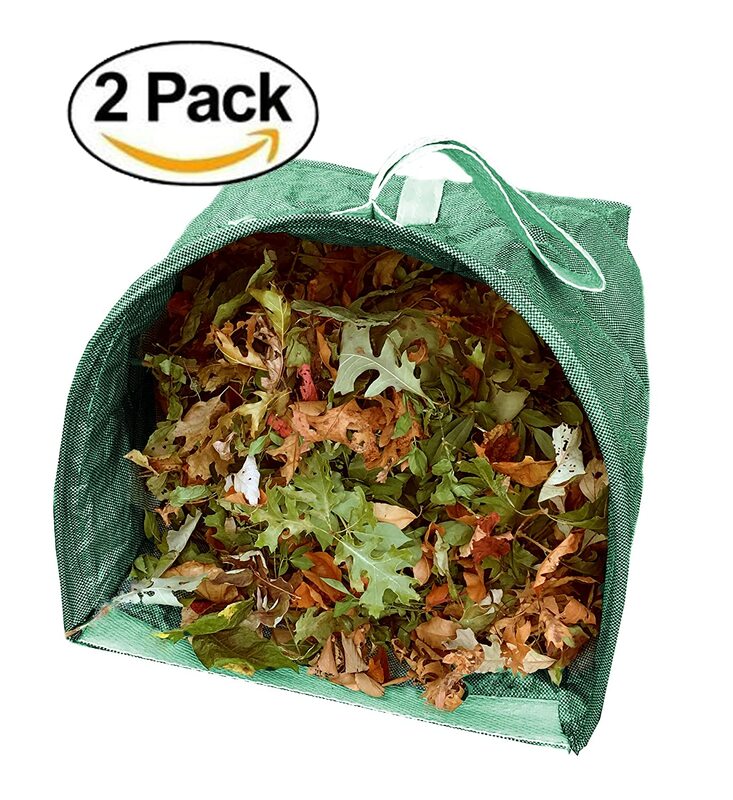 Whether you compost it down or take it to yard waste drop-off sites, these bags will prove very useful. 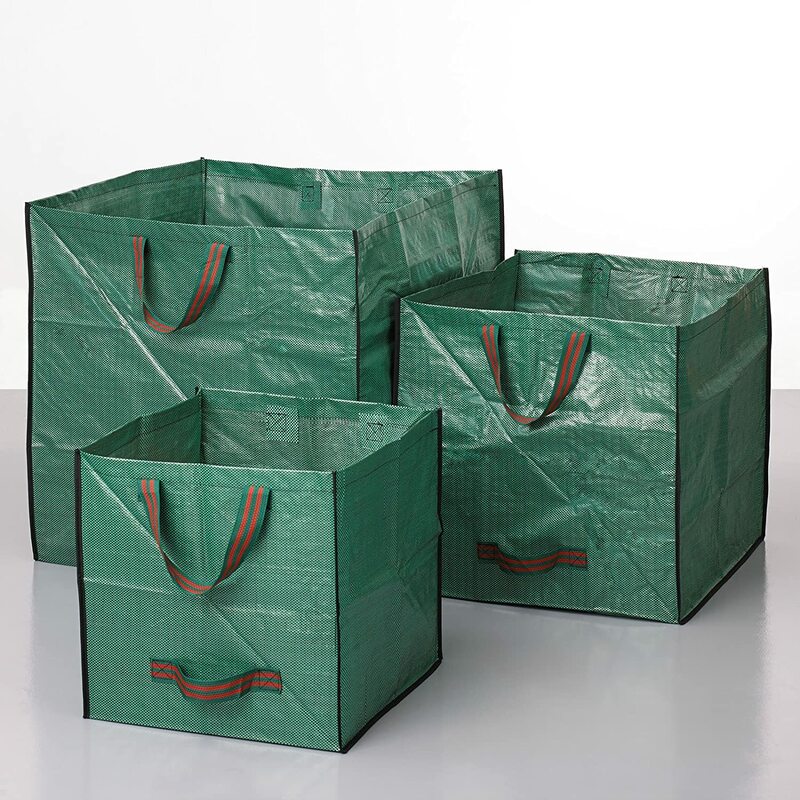 Some of these bags, the squarer shaped ones, are also handy for tidying away the patio at the end of the day. They're good for holding patio cushions, throws and kids soft toys until needed the next day. 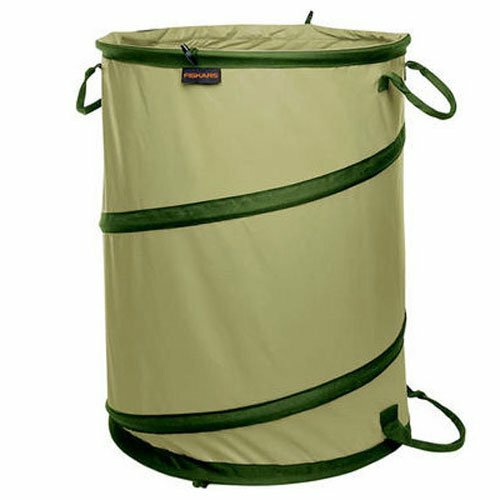 When they are not in use, these bags fold away and take up very little space themselves, and can be easily hung on a shed or garage wall.